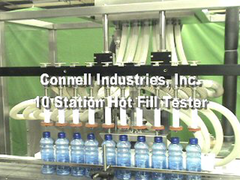 If you want the most accurate, reliable, safe and cost effective PLC controlled hot fill/heat set testing system on the market today, then Connell Industries has the system for you. 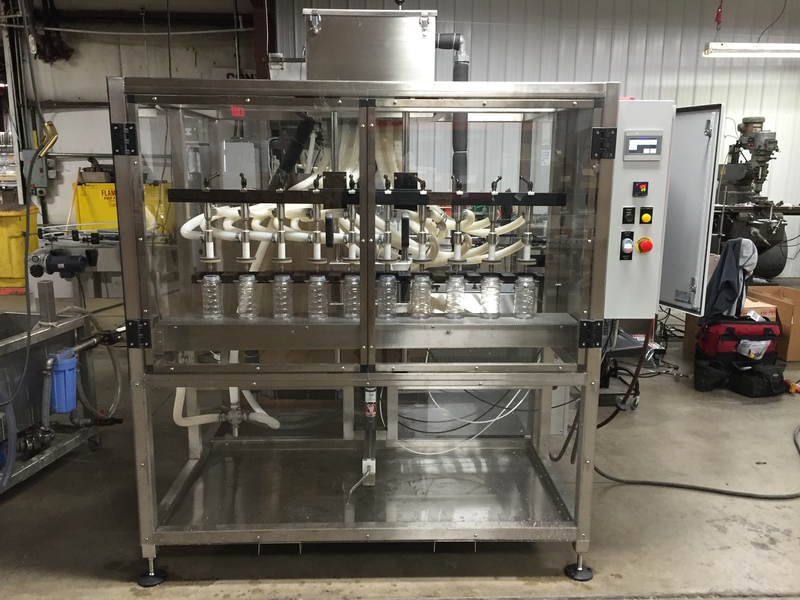 Used by many of the largest PET hot fill bottlers and heat set manufacturers in the U.S., our 10 station hot fill system will safely and reliably meet your stringent hot fill and heat set testing requirements. 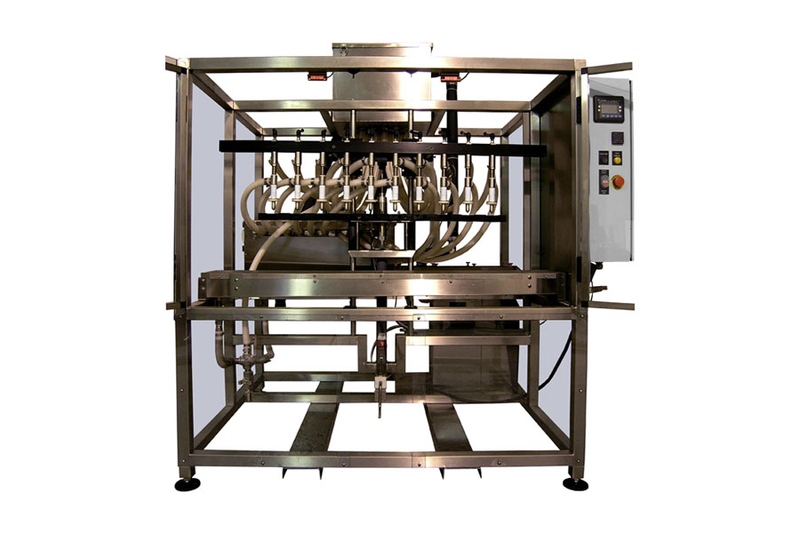 Our Hot Fill System uses the principle of gravity overflow to deliver 195 degree Fahrenheit water through overflow nozzles to provide a "cosmetic fill" for a wide variety of thin walled products. 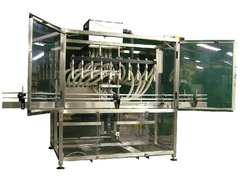 The overflow nozzles work by compressing and forming a tight seal on the rim of the container thereby allowing product to travel from a common supply tank directly into the container. 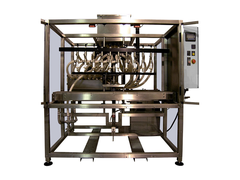 At the same time, air and excess water are forced out through a return port in the nozzle and recirculated back to a secondary reservoir used to collect all excess water. 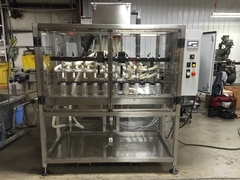 This makes for a safe, reliable and quick testing process. 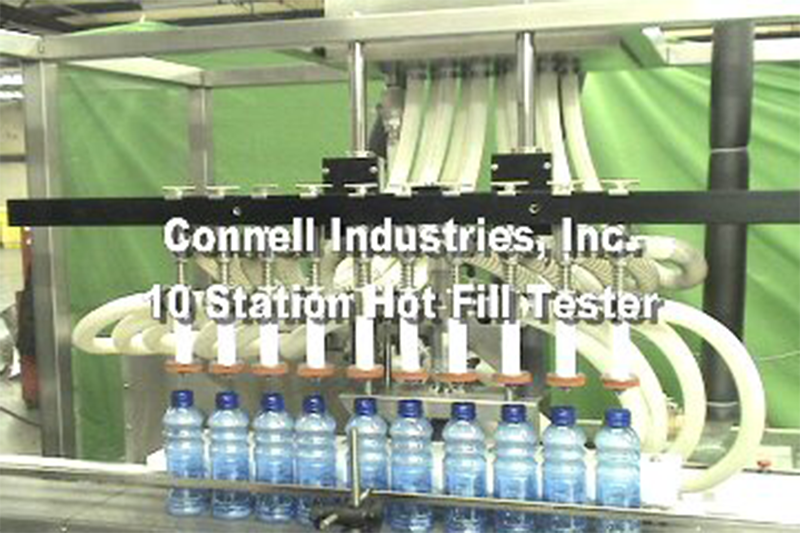 Connell Industries' Hot Fill testers have oversized reservoirs, primary and secondary recirculation tanks and an automatic float and valve system to keep all wetted parts at a constant temperature between cycles. 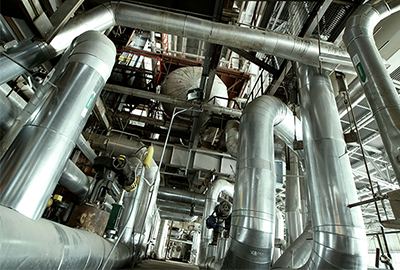 All systems incorporate an Allen-Bradley Micrologix 1000 programmable controller with a touch screen operator interface, 304 stainless steel framing, piping, tanks and conveyor plus many other features to provide operators with a high degree of safety and functionality. 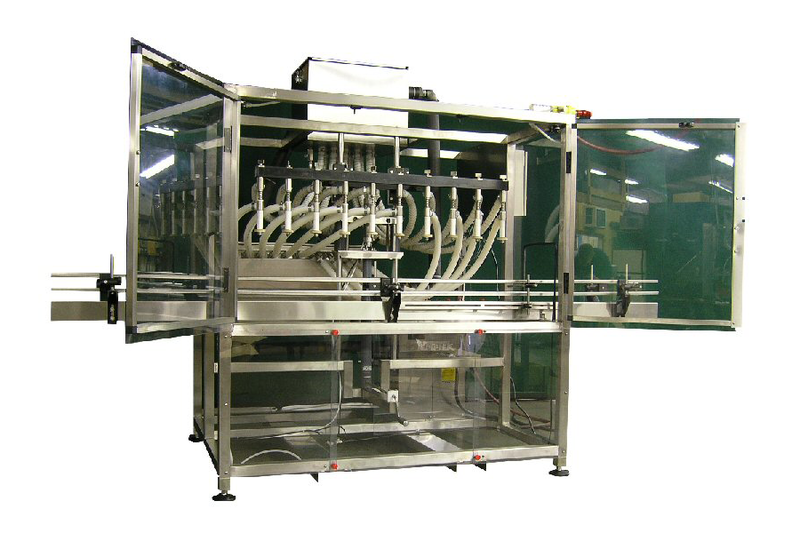 Periodically we send out various special promotions such as discount codes for our sparts parts store, a free Connell Industries polo shirt and more.